For two years in the late 1990’s I studied Mandarin. Each week I took two lessons. Each was two hours long. Every lesson ended with homework, revisions and listening exercises. I studied reading, writing and speaking. With Mandarin, I found listening the hardest. There are so many strong, regional accents. Did you know people in Beijing speak as if punctuation was never invented? They roll their R’s heavily – and transition from sentence to sentence without stop. In Shanghai there are a number of words that aren’t used outside the city. Down south in Guangzhou the accent is closer to Cantonese. 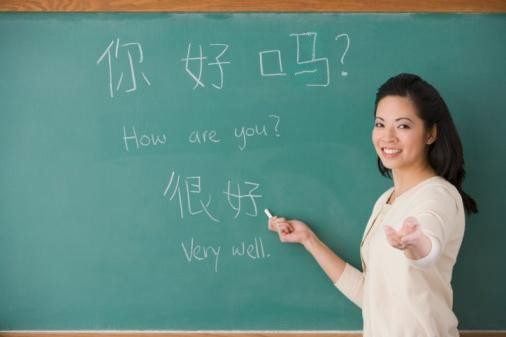 Mandarin has four inflections (up, down, flat, and down-then-up). Cantonese has eleven inflections! Change Tone – Change Meaning. The word “Ma” pronounced four ways. By the end of two years I was proficient. On a taxi rind from the old Beijing airport to downtown I discussed mobile phone plans and costs the entire ride with the taxi driver. But just like the muscles you need for sport, language atrophies if it isn’t used. Today I’m back to basics. Over the weekend my son and I did our Mandarin Homework. He learned how little brother wore a scarf, sweater and jeans. I learned how to make small change in four different currencies. He pronounced the words for articles of clothing. I rattled off the names of countries. Together we learned numbers and their corresponding hand signals (‘Ba’ is eight and the hand signal looks like a finger-thumb pistol). In time I might be proficient enough to climb back into a taxi and speak about day-to-day minutiae. Until then I’m restricted to making change and consulting the atlas.